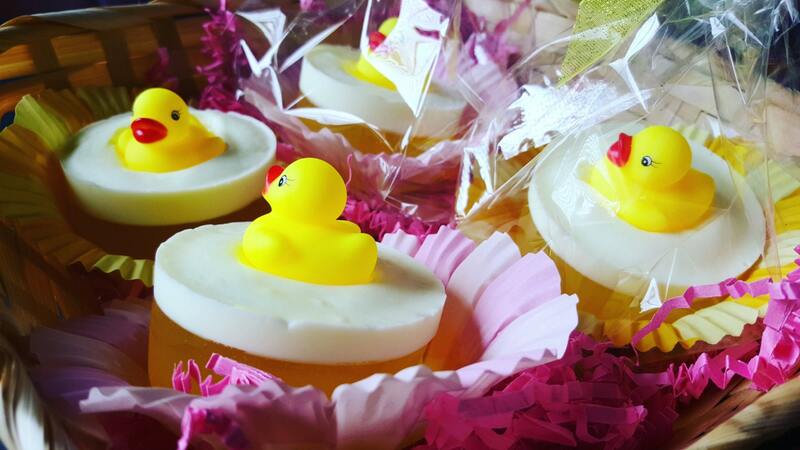 These cute soaps are sure to be a hit in your child's bath. 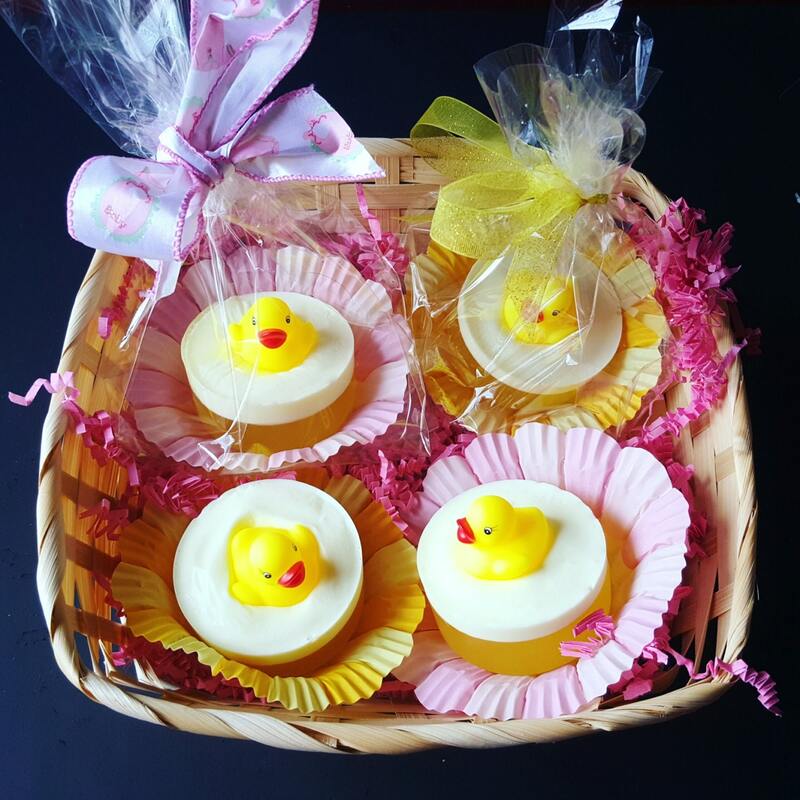 The mild Aloe Vera soap base is very gentle on their skin and the baby powder fragrance is very subtle. 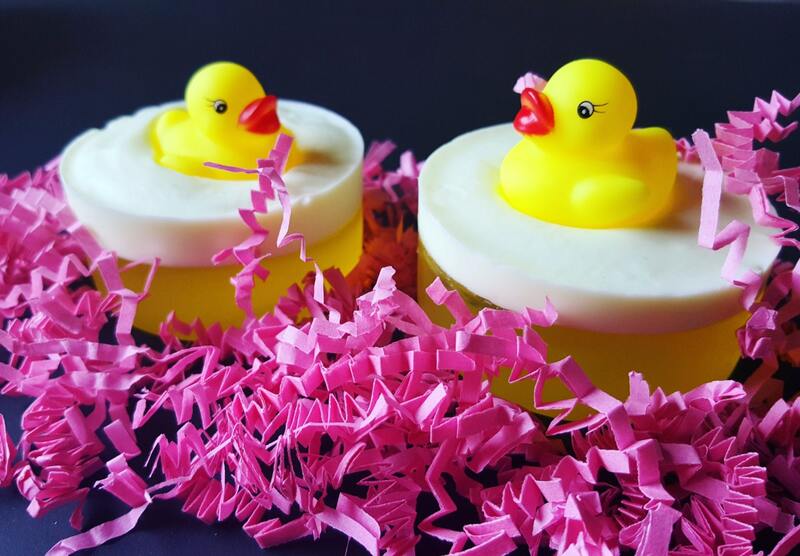 The rubber duck is sure to amuse them for many baths. These also make great shower gifts. We make these here at Naturals by Nana and as always would gladly custom make them for you in the color and fragrance of your choice. This is quite a large bar of soap weighing approximately 5 ounces. They arrive wrapped in a cute package with a bow ready for gift giving. Please feel free to contact us with any questions you may have. 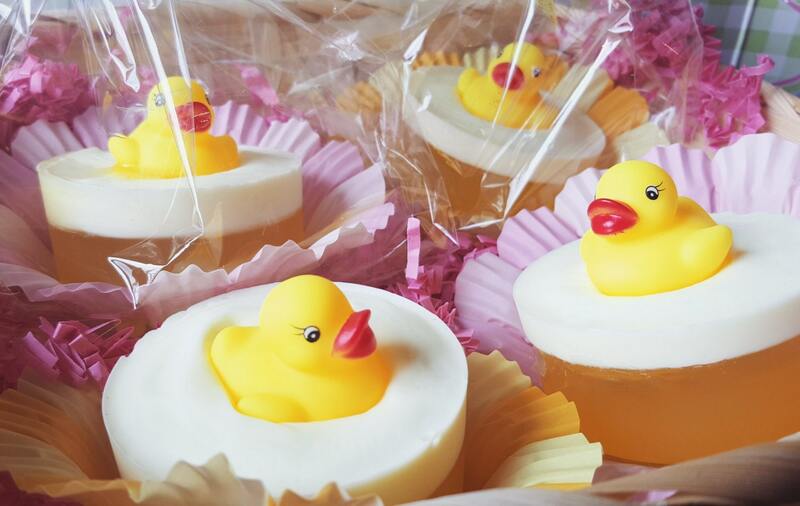 Please note that the ducks are quite small and could pose a choking hazard.